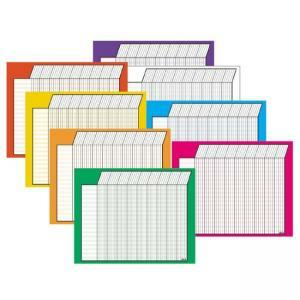 Ample sized chart makes it highly visible and perfect for all ages and activities in schools, club, offices and homes. Offers 36 rows and 45 columns. Sturdy and durable, coordinate with TREND stickers. 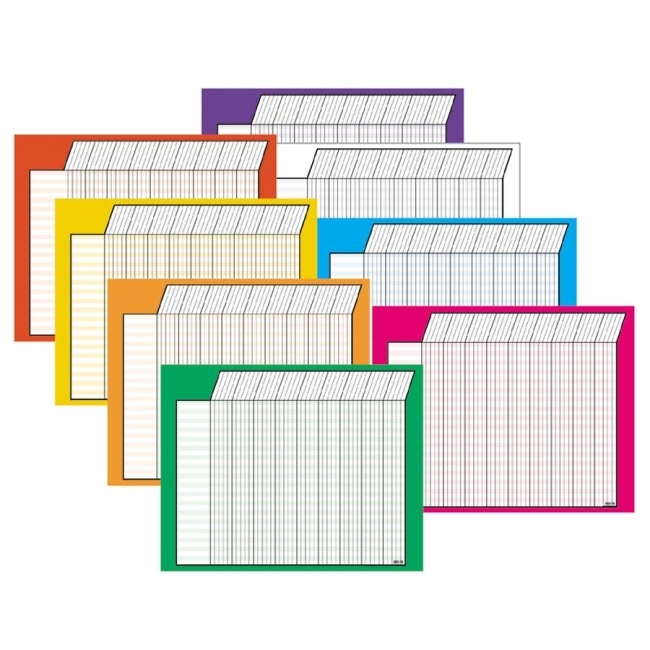 Includes red, yellow, white, blue, green, purple, orange and deep pink horizontal charts. Ideal for fourth grade to twelfth grade (Ages 8 to 99). Recommended Age: 8 Year to 99 Year - Ideal for fourth grade to twelfth grade.